Republic of Ireland manager Martin O’Neill was involved in an awkward exchange with a reporter after requesting a question for his captain Seamus Coleman be directed at him. 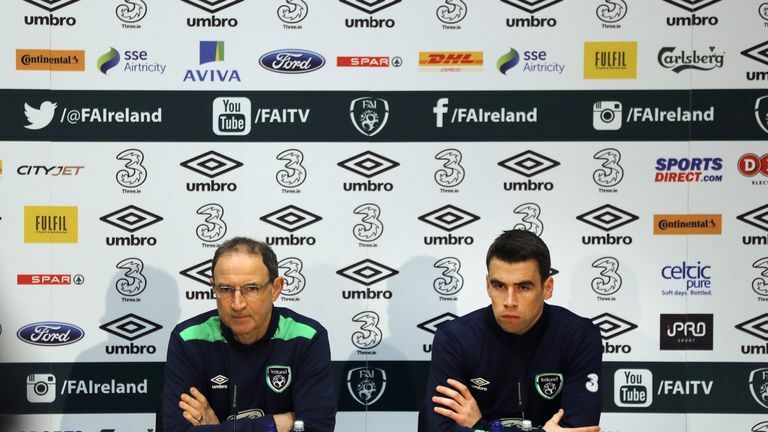 Republic of Ireland boss Martin O’Neill was involved in an awkward exchange with a reporter after insisting a question for his captain Seamus Coleman be directed at him. Coleman was critical of his country’s performance in their goalless draw with Northern Ireland on Thursday night, which saw the Republic booed off the pitch in Dublin. Speaking after the game, Coleman admitted the Republic weren’t good enough on the ball and neither made enough angles for each other nor created enough chances.